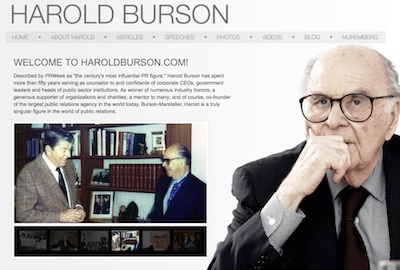 This week, an historic figure in public relations celebrates a major milestone: Harold Burson, co-founder and chairman emeritus of one of this industry’s most storied agencies, Burson-Marsteller, celebrates his 95th birthday. To those who know him – and there are thousands – Harold Burson, a wise counselor, loyal friend and man of unbridled optimism, represents the very best of the practice of public relations. He is also a public relations pioneer, opening his agency more than 60 years ago and following in a tradition that other pioneers, most notably Ivy Lee and Edward Bernays, helped establish. 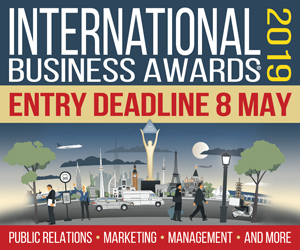 But what about public relations practice before these 20th century industry giants? What are the true antecedents of this practice that has become so prominent and powerful in the 21st century? The first public relations man may well have been Aaron, the much less famous brother of Moses. According to the Old Testament (a pretty good reference), when Moses was chosen by God to plead the plight of the Jewish people before Pharaoh, he called on his brother – a better and more persuasive speaker – to represent him at the royal court. (The Jews left town via the Red Sea shortly thereafter). The Romans were great debaters and writers. In 50 B.C. Julius Caesar wrote Caesar’s Gallic, in effect a campaign biography, that promoted his military experience and success to illustrate that he deserved to be head of state. Today, of course, every presidential candidate this side of Gov. Jim “Happy” Gilmour produces a de rigueur book describing how lucky we are to have them. The American Revolution of 1776 depended on writers and pamphleteers to spread the gospel to their countrymen of separating from England. Committees of Correspondence fueled the revolution. And the men who led the public relations charge were America’s revered founding fathers, like Thomas Paine, James Madison, Benjamin Franklin and Alexander Hamilton (who wrote in hip hop). In the 1830s, President Andrew Jackson depended on “Kitchen Cabinet” member Amos Kendall and his Washington Globe daily newspaper to polish Old Hickory’s reputation by getting out the positive messages about Jackson’s programs and prowess. Finally, there is the historic figure that today’s public relations professionals are loath to claim as their own. Phineas Taylor Barnum, a master of persuasion, who promoted his museum, circus and performers with equal parts zeal and deception. P.T. Barnum’s hugely successful empire helped give public relations a bad name, as it was built on a foundation of self-promotion, braggadocio, hype and outright lies. Thank goodness that in today’s more learned, sophisticated society, no individual possessing such anti-social traits could presume to ascend to a position of such power. Fraser P. Seitel has been a communications consultant, author and teacher for 40 years. He may be reached directly at yusake@aol.com. He is the author of the Prentice-Hall text The Practice of Public Relations, now in its 12th edition, and co-author of Rethinking Reputation and Idea Wise.